There was no reason to think it would turn out this way. Extending the unkillable Rocky franchise into something like a Rocky universe by spinning off Apollo Creed’s previously unseen son into his own film (nine years after the series more or less put itself to bed with Rocky Balboa) sounds as cynical as any brand extension, and perhaps a last desperate step before the inevitable remake. 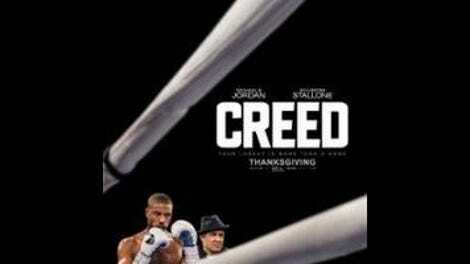 But while Ryan Coogler’s Creed, starring Michael B. Jordan as the son of the Carl Weathers character from the first four Rocky movies, hits plenty of expected marks that identify it as a Rocky descendant, it’s perhaps the first such movie (including even the respectable Balboa) to feel more like a successor than an imitation. The movie shows confidence from its first moments, a prologue set in a juvenile detention hall where the camera travels through a hallway, into a room where two kids are fighting. It turns out one of them is a young Adonis Creed, though he doesn’t go by that name. The product of an extramarital affair, Adonis wasn’t yet born when his father, Apollo, was killed in a boxing match; the movie incorporates a surprising amount of Rocky franchise lore, managing to redeem the cheesiness of Rocky IV, where the in-ring death happens. After that opening confrontation, Adonis winds up in the care of Apollo’s wife, Mary Anne (Phylicia Rashad), growing up with luxury but also relative anonymity out in Los Angeles. But he’s still got a lot of fight left in him, and as an adult he wants to use it, like his father, in the boxing ring. It’s here that Mary Anne makes a great point about boxing not being particularly heroic, especially without the financial disadvantage that leads many fighters into the profession—and the movie is clear that the younger Creed has enjoyed certain advantages. Early on, Coogler makes a startling smash cut from the young fighter victorious in an underground Tijuana fight to Jordan sitting in an office, wearing a tie and a nice shirt. Diluting the purity of the hero’s underclass origins is a dicey proposition, but the rejiggering of the underdog narrative gives Creed something to prove to the audience, too. Unsatisfied by his job and nursing plenty of unresolved daddy issues, he heads to Philadelphia, hoping to get trained by his father’s old opponent-turned-buddy, Rocky (Stallone). Rocky is a wise mentor who’s reluctant to get back into the game, and of course cocky champions, training montages, moments of doubt, and contentious pre-match press conferences all lie in front of the trainer and his student. Plotwise, then, it’s all pretty standard. But Creed applies its clear formula with grit and determination, making a would-be crowdpleaser like Southpaw look all the more rote in its gritty posturing. Coogler showed a lot of promise with the powerful Fruitvale Station, also starring Jordan; here, faced with less heavy material, he ups his showmanship considerably. He makes judicious use of long takes, following Adonis and Rocky off the street, up some stairs, and into their training gym for the first time, and depicting an entire mid-movie boxing match in a single unbroken shot, temporarily turning the ring into Creed’s entire world. In Coogler’s hands, elements as basic as a training montage, freeze-frames that briefly display a boxer’s background and statistics, or a rallying run through the streets of Philadelphia become thrilling and funny again. On a pure technical level, this may be the best-looking and best-made of the series. 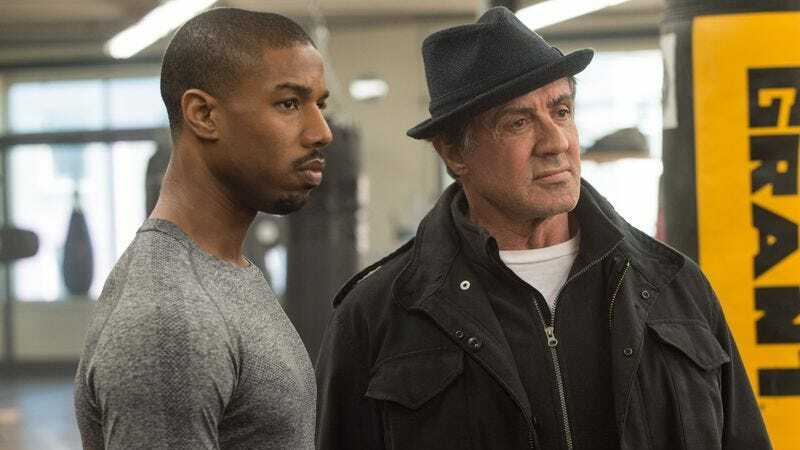 Creed also represents a number of firsts: the first Rocky-related movie without “Rocky” in the title, the one to run noticeably over two hours, and—perhaps most significantly—the first time Rocky Balboa’s dialogue has been written by someone other than Sylvester Stallone. This version of Balboa, scripted by Coogler and Aaron Covington, has the same marble-mouthed, easygoing charm of the previous films, but it’s a relief to see Stallone relieved of filmmaking duties and allowed to sink further into the character. As a result, the dialogue has a little more polish and depth than the usual Stallone anti-zingers (“Time takes everyone out,” Rocky muses at one point. “It’s undefeated.”) and his performance is lovelier, more steeped in the melancholy of old age than even his own old-Rocky revival. He’s well matched against Jordan, who is less aw-shucks than his older counterpart but enormously touching as he grows attached to Balboa—and attracted to Bianca (Tessa Thompson), who has more warmth and depth than the usual sports-movie love interest. Sometimes the filmmakers get carried away in their feelings and indulge some repetitive interpersonal conflict; Creed and Balboa, in particular, probably have one too many big do-or-die confrontations about who’s fighting for whom. More often, though, the movie is invigorating in its ability to reach its unexpected emotional crescendos with its visuals and music, and its use of Rocky iconography as touchstones rather than strict blueprints. Creed works far better than it should, and does so twice: as the unexpected payoff to a nearly 40-year-old series, and as the confirmation of a major talent in its director.